Ships in 12 to 13 business days. The 3M Aqua-Pure AP101T Whole House Water Filter System reduces dirt, rust and sand sediment from your water. 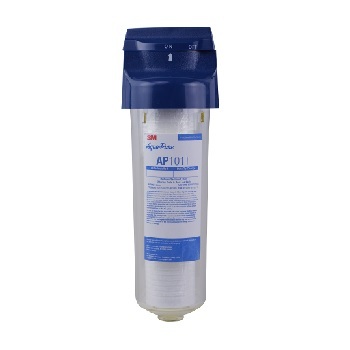 The 3M Aqua-Pure AP101T filter system comes with the 3M Aqua-Pure AP110 premium replacement cartridge. 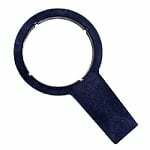 The 3M Aqua-Pure AP101T comes complete with installation instructions, 1 AP110 premium long life filter cartridge, Aqua-Grip Filter Wrench, built in shutoff valve and a 10 year warranty. Easy to Change filters. Just turn the Shutoff Valve to Off, use the wrench to open the housing and insert the new filter. 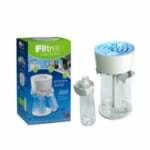 The 3M Aqua-Pure AP101T Whole House Filter Cartridge AP110 should be changed every 3-4 months. 5530002.